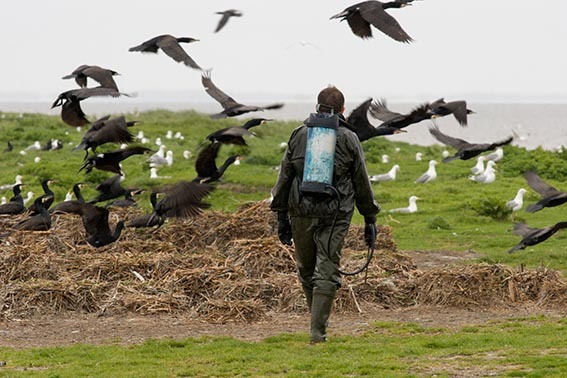 Every 10th day during breeding seasons the colonies on these small artificial islands of Ringkøbing Fjord, along with several other colonies of the western Jutland, are visited by the authorities and consequently eggs of society’s enemy the Cormorant are destroyed. 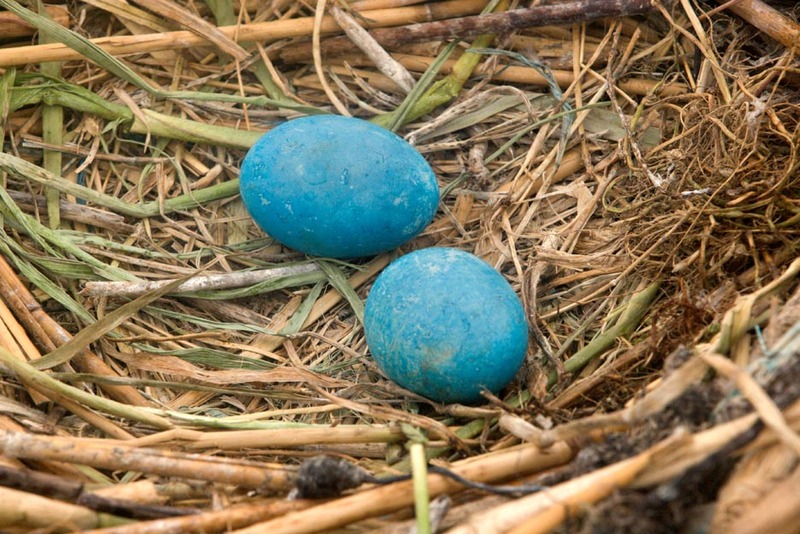 That’s to say, destroyed, in an organized, well planned and truly intelligent way, that only a true civilisation can provide. 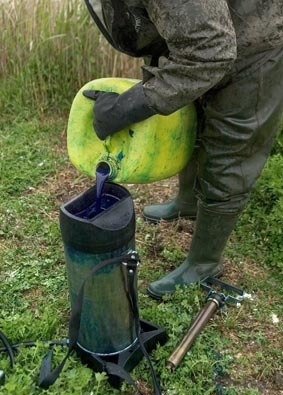 And under the supervision of Denmark’s Environmental Research. 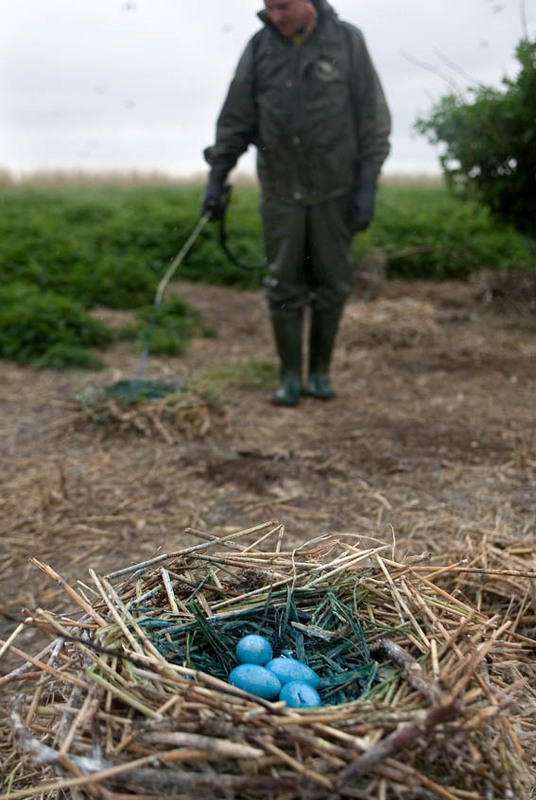 In this well planned operation, including a carefully outlined number of nests, eggs are sprayed with coloured oil that seals the gas permeable pores, consequently killing the embryo. 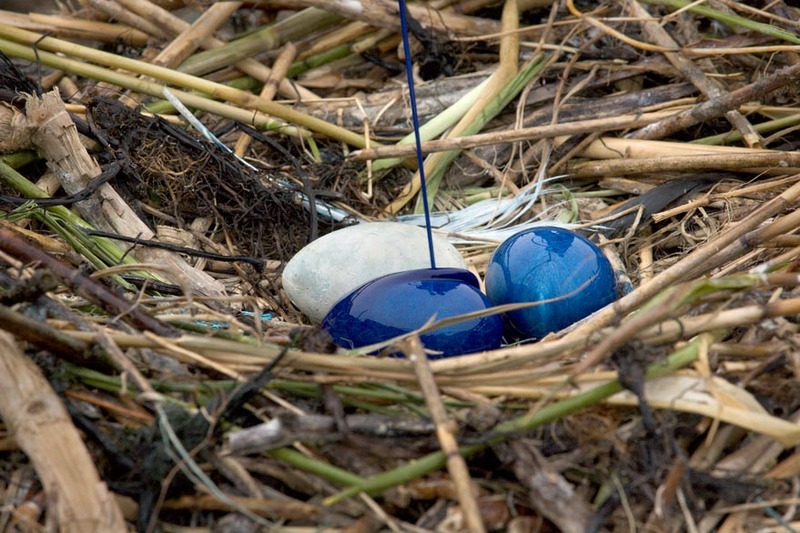 The Cormorants return to the nest and continue their hatching showing little or no reaction to the clear blue colour, but later on, during a following visit to this colony, any new white eggs in any of these nests catch the eye, can be easily located and consequently treated with blue oil. 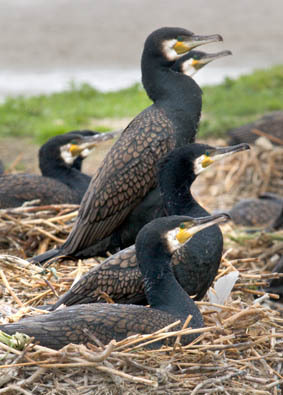 Otherwise destroyed eggs or nests, would simply cause a bird to either produce a new set of eggs or give away space to another breading ready couple of Cormorants. 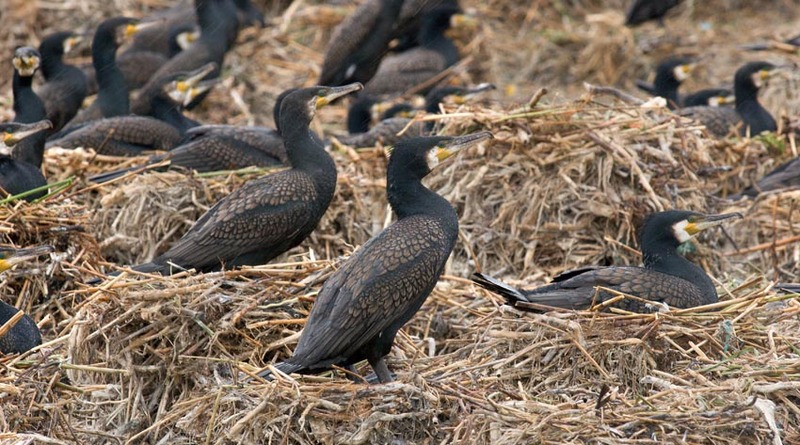 12% of the total number of Cormorants nests were destroyed in this way during 2005, or 5.000 in all in an operation concentrated in Western Jutland and around the island of Læsø. 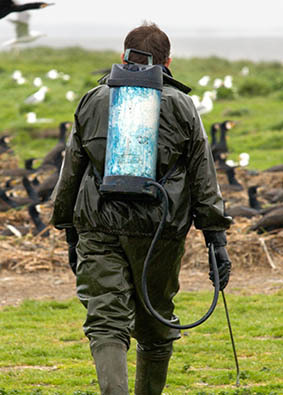 According to Denmark’s Environmental Research this nest destruction was carried out at 15 colonies corresponding to 27 % of all of all colonies in Denmark.